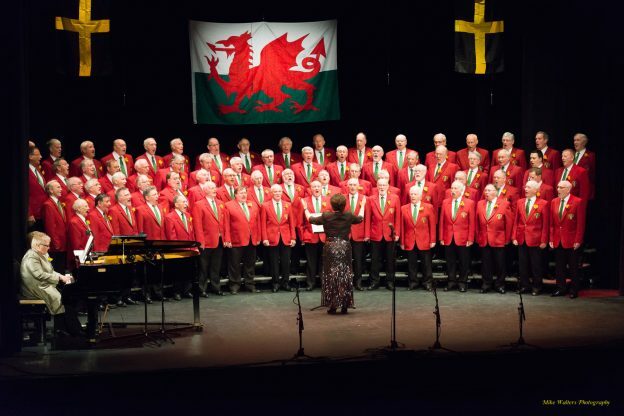 The Lyric Theatre, Carmarthen was the setting for CMDC’s latest concert on Saturday 10th March. An appreciative audience enjoyed a varied programme from the choir, performed to their usual high standard under the direction of Elaine Robins and accompanied by Sian Davies, who also provided support for the always effervescent Llio Evans (Soprano) who is about to make her English National Opera debut. The choir was delighted to welcome Cor Ysgol Maes y Gwendraeth, who provided superb performances by the full choir and by the Senior Girls and Senior Boys (Yes! Boys). This splendid choir was under the direction of Nickola Roderick and accompanied by Mared Williams. An altogether first class evening in support of the Wales Air Ambulance.